Created by Kate Beaton, author of The Princess and the Pony and #1 New York Times bestsellers Hark! 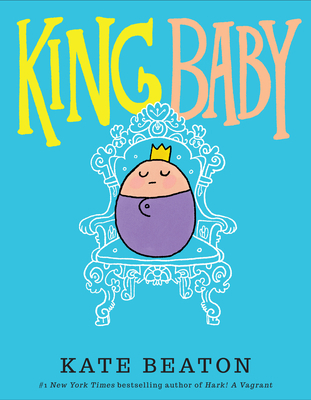 A Vagrant and Step Aside, Pops!, this modern, funny, and (let's be honest) realistic take on life with a new baby is the perfect gift for anyone with an adorable little monarch in their world. Kate Beaton is the author of The Princess and the Pony, which received four starred reviews and was selected as an ALA Notable Children's Book, and Hark! A Vagrant and Step Aside, Pops!, both #1 New York Times bestselling comics collections. Kate is the recipient of multiple Harvey awards, and her cartoons have been featured in the New Yorker. Kate lives in Canada, and you can find her online at www.beatontown.com, or on Twitter and Tumblr as @beatonna.